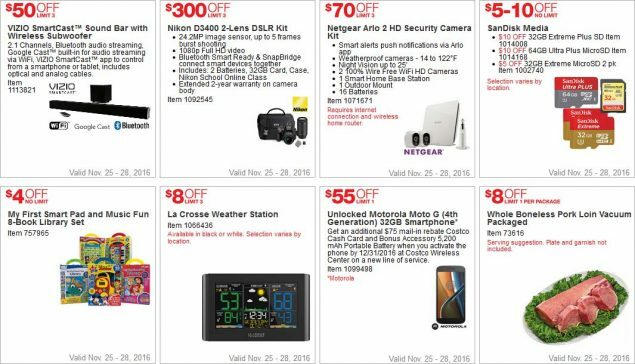 The weekend of Black Friday will have some of Costco’s best deals of the year. 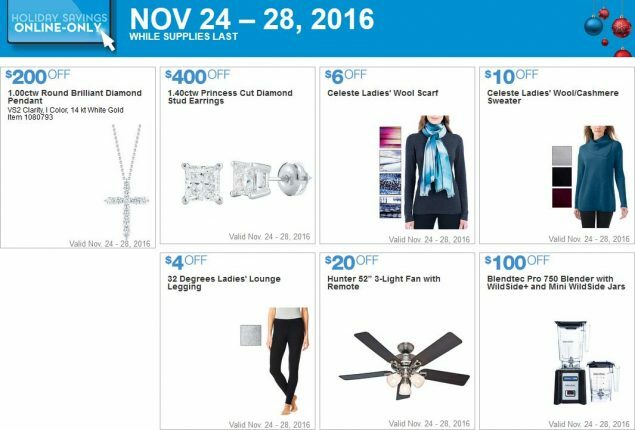 The Black Friday 2016 weekend coupons will run from Friday November 25th through Monday November 28th. In order to see the coupons you need to click the link above, which will take you right to them. 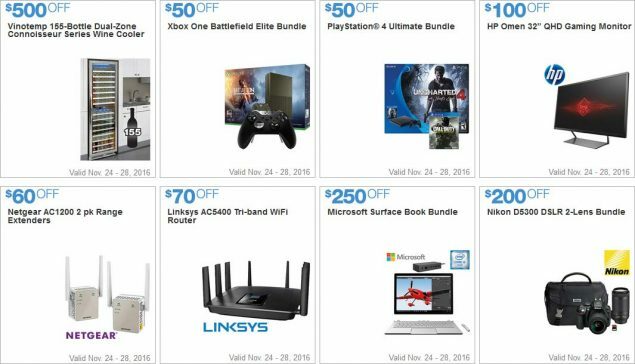 Some of the Black Friday 2016 Week 2 coupons will also overlap on this weekend, so make sure to take a look at those too. 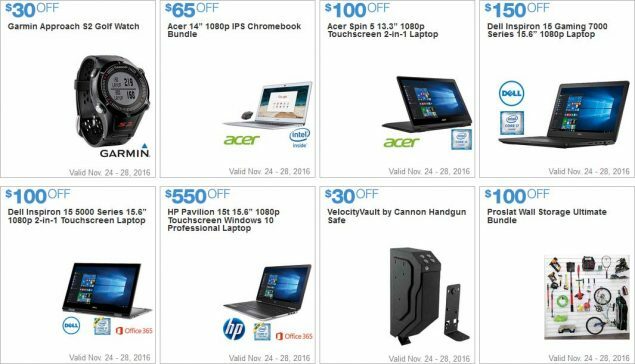 There are also Black Friday 2016 Week 1 coupons which run from November 11th through the 17th. 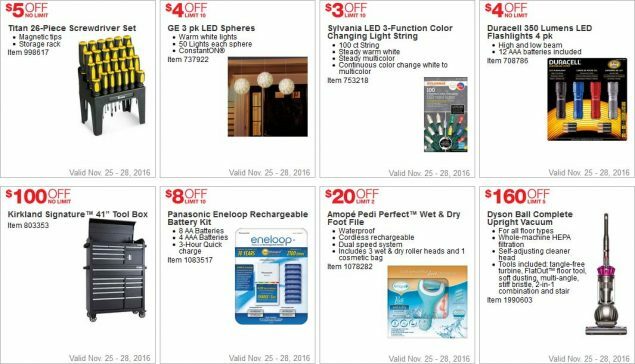 Lastly, the November Costco Coupon Book will be running through the 27th as well. 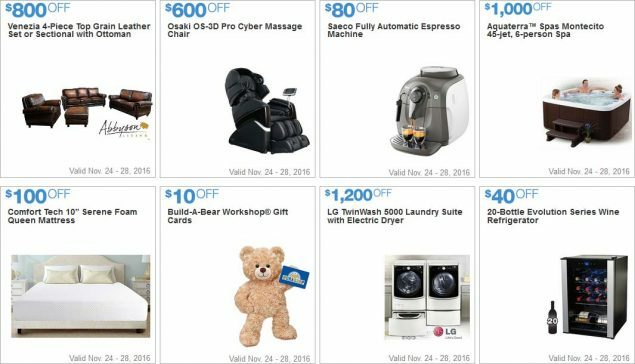 There are lots of Black Friday weekend deals at Costco that are interesting. Right off the bat the Xbox One S is a good price at $239.99. The Dell XPS Laptop and Microsoft Surface Pro are two of the best Windows laptops on the market. This is the only time of the year the pork loin is on sale. The Eneloop rechargable batteries are a great deal at $22 after coupon. Just a reminder if you’re looking to see the coupons and their final prices you must click the link at the top of the post. 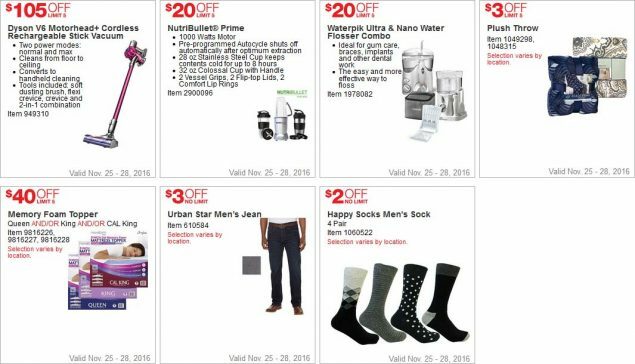 Also, this sale includes items on Costco.com, which will be part of Costco’s Cyber Monday deals. As expected, it looks like Costco will no longer be giving Black Friday cookbooks out anymore, but you should be able to see the digital version online. On Black Friday Costco will also be opening earlier at 9am. Lastly, you cannot get any price adjustments for items on sale which you have bought previously. 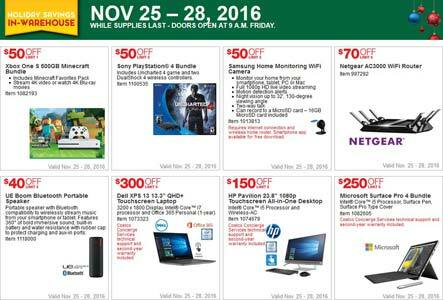 You must go into the warehouse on Black Friday weekend to get these deals. Which coupons do you think are good deals? 1.40ctw Princess Cut Diamond Stud Earrings VS2 Clarity, I Color, 14 kt White Gold. $800 OFF. Item 659331, 900921. $600 OFF. Item 100089701. .
Aquaterra™ Spas Montecito 45-jet, 6-person Spa Features: Multicolor LED light, cascading waterfall and ozonator. Dimensions: 81″ x 81″ x 34″. Xbox One Battlefield Elite Bundle Limited Edition Battlefield Themed Xbox One S. Battlefield 1 Game. Xbox One Elite Controller. PlayStation® 4 Ultimate Bundle PlayStation 4 Slim Console. Uncharted 4: A Thief’s End. Call of Duty: Infinite Warfare. Two DualShock4 Controllers. HP Omen 32″ QHD Gaming Monitor AMD Freesync Enabled. 2560 x 1440 Screen resolution. Display port. Dual HDMI. Microsoft Surface Book Bundle Intel® Core™ i5 processor, Surface dock and Windows 10 Pro. Nikon D5300 DSLR 2-Lens Bundle 24.2 MP DX-Format CMOS Sensor. Full 1080p HD video. Kit includes camera bag, 32GD SD card and online tutorial voucher. Acer 14″ 1080p IPS Chromebook Bundle . Intel® Celeron™ processor and bonus Acer wireless mouse. Acer Spin 5 13.3″ 1080p Touchscreen 2-in-1 Laptop Intel® Core™ i5 processor and Wireless-AC. $100 OFF. . Item 1100931. Dell Inspiron 15 5000 Series 15.6″ 1080p 2-in-1 Touchscreen Laptop 7th Generation Intel® Core™ i7 processor, backlit keyboard and Office 365 Personal (1-year subscription). HP Pavilion 15t 15.6″ 1080p Touchscreen Windows 10 Professional Laptop 7th Generation Intel® Core™ i7 processor, 2GB Graphics and Microsoft Office 365 Personal (1-year subscription).